If I told you there was a digitally-savvy market segment with massive buying power and a growing consumer base, you’d likely assume that segment is already covered in your online marketing plans. Think again. That may not be the case. A segment that spends $1.7 trillion annually. An audience in which the number of consumers are expected to grow 86% by 2050. Hispanics in the U.S. use online sources at a higher rate than the general online population (54% vs. 46%), and most say they use the internet more than TV when gathering information about a purchase. Additionally, two-thirds of U.S. Hispanics say they pay attention to online ads—almost 20 percentage points more than the average online user. And yet, for most advertisers, appealing to this audience online is not a part of their marketing strategy. With metrics like these, there is no question that advertisers should to do everything they can to appeal to the Hispanic market. Why then, do many brands fall short when it comes to engaging these digitally-savvy consumers? Metrics tell us that native Spanish-speaking individuals often use English when shopping or researching online. Thirty-one percent of U.S. Hispanics identify as English-dominant at home. That number jumps to 52% during online activity. The reality is most Hispanic digital consumers are bilingual - this doesn’t incentivize advertisers to create ads or content in Spanish when they know content will likely be consumed in English if no alternative exists. Advertisers are missing out on a massive opportunity in terms of immediate ROI and brand growth. Spanish keyword searches are increasing quarter-over-quarter, with thirty-two percent of U.S. Hispanic consumers searching online in both languages. Further, 16% consume content exclusively in Spanish. For those reasons alone, it makes sense to create Spanish language ads in many U.S. markets. For search engine advertising, leveraging both English and Spanish keywords and ads are ideal for a brand as it gives consumers more choices. It can also be very cost effective for advertisers to gain additional customers. 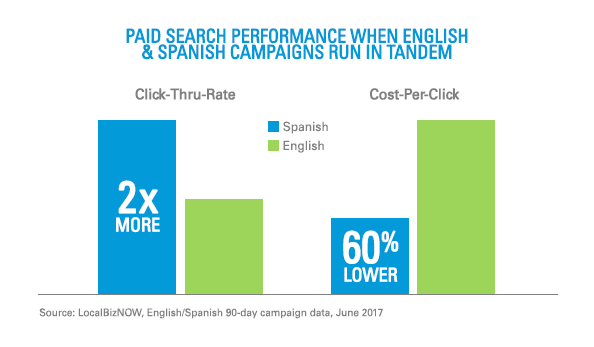 Looking at our own data over a 90-day period for initiatives where clients are running both English and Spanish campaigns, the click-thru-rate of Spanish ads is more than 2x that of the English ads, with a slightly higher conversion. Our data also shows the cost-per-click of Spanish campaigns is 60% less than the English campaigns. This translates into effective local digital performance for brands that are getting more than double the ROI on the Spanish campaigns than they are on the English campaigns. Overall, these Spanish campaigns represent incremental traffic and sales for our advertisers that they otherwise would miss out on. What can businesses do to expand their targeting and better engage a Hispanic audience? Writing ads in Spanish is the bare minimum advertisers can do to connect with U.S. Hispanics. Ideally, advertisers should mirror the full English path to purchase for Hispanic audiences. This means not only offering ads and keywords in Spanish, but giving consumers the choice of using either language once they're on your site. Also of critical importance is making potential customers feel comfortable with your brand’s ability to serve them in either language. There is a big difference between simply writing ads in Spanish and making sure a customer knows your brand offers the full consumer experience in Spanish. What good are ads in Spanish if they prompt a customer to call a business and no one is available on the other end to assist them in their desired language? This can lead to a poor user experience and reflect badly on your brand. Geo-targeting is a key component to relevance when it comes to connecting with Hispanic audiences. In many cases, advertisers should think twice about the effectiveness of using the same ad copy or keywords in San Diego, for example, as they would in Miami. This is all important for an effective local digital marketing strategy that engages and converts Hispanic consumers because the real opportunity lies in not only connecting with this audience, but endearing your brand to this growing market segment. Research shows that U.S. Hispanics not only pay more attention to a brand, but also feel more favorable about a brand that aims to be culturally relevant. 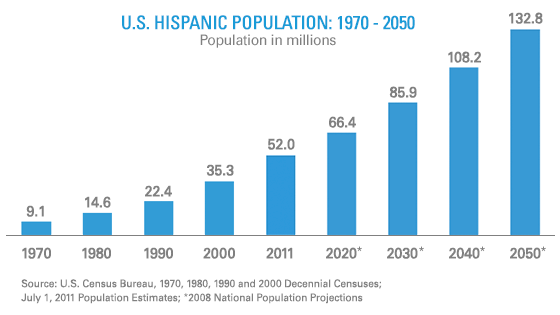 By 2050, Hispanics will make up roughly 30% of the U.S. population and brands that ignore this audience will miss out on a massive opportunity. 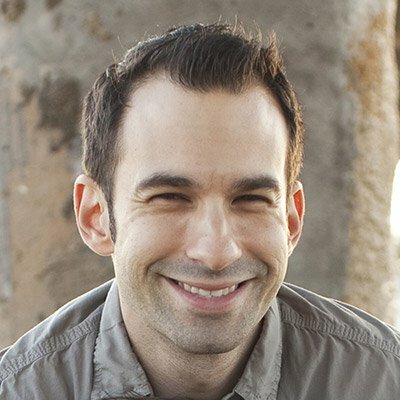 Matt Blackmore is LBN’s VP of Digital Marketing. He manages the Search Operations and Analytics Teams, and speaks and writes frequently about Digital Marketing. Google/Ipsos MediaCT, Digital Hispanics: The Role of Culture and Language Online study, April 2015.
comScore qSearch (custom), Sept 2016. Bing Network includes Bing, Yahoo Search (searches powered by Bing), and AOL Search Network worldwide.